If You Can’t Stand the Heat… Get a Robot in the Kitchen! There are some people who love to cook, and then there are those who would prefer not to. For those of you that aren’t so fond of cooking, how many times have you wished for a personal chef to create all your meals for you? 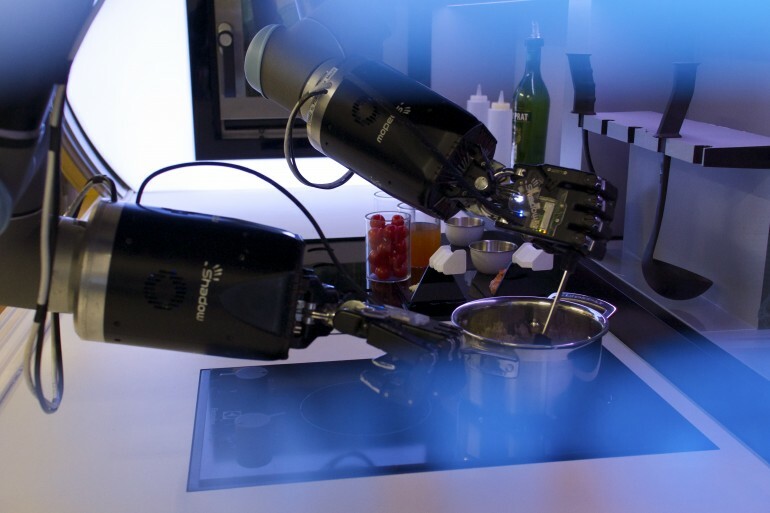 A British company, Moley Robotics, has developed the next best thing – a robotic chef that can cook just like it’s human counterpart. It would surely beat having to leave your house to enjoy a delicious meal and for many people, a personal chef is way out of their budget. Moley Robotics first unveiled the prototype to the public at in industrial products tradeshow in Hanover Messe, Germany. The prototype took over two years to develop through the help of Sebastian Conran, who designed the cooking utensils, and Mauro Izzo, who designed the futuristic kitchen furniture. Although Moley Robotics has spent a lot of time on the robot chef already, they don’t plan to release the finished product for another two years (2017). The actual robot, designed by Shadow Robot Company – who is very well known for developing robotic hands – has the ability to mimic human hands because it uses 20 motors, 24 joints and 129 sensors. This is why the robot chef is different than anything else ever imagined, it’s almost as if you do have your own personal human chef in the kitchen. Moley’s Founder, Mark Oleynik, explained that, “This is our target point, to make it human. Everything that people create, they create by hand, so this is a key point to how people transfer their human intelligence.” Before the chef can start cooking in your kitchen, it needs to be trained to cook a variety of meals. The Shadow Robot company is planning to add 2,000 meals to the robot’s library before it is released to the general public. After all, just like humans and cooking, even robo-chef learns best by doing. Moley is working with Masterchef UK champion Tim Anderson to train the robo-chef many different recipes. They have developed a special kitchen for the robot chef where 3-D cameras are used to film Anderson in action – the robot chef then has to recreate Anderson’s exact actions and movements, resulting in a delicious meal. Image the future of cooking. Before you even come home there is a delicious and healthy meal waiting for you. 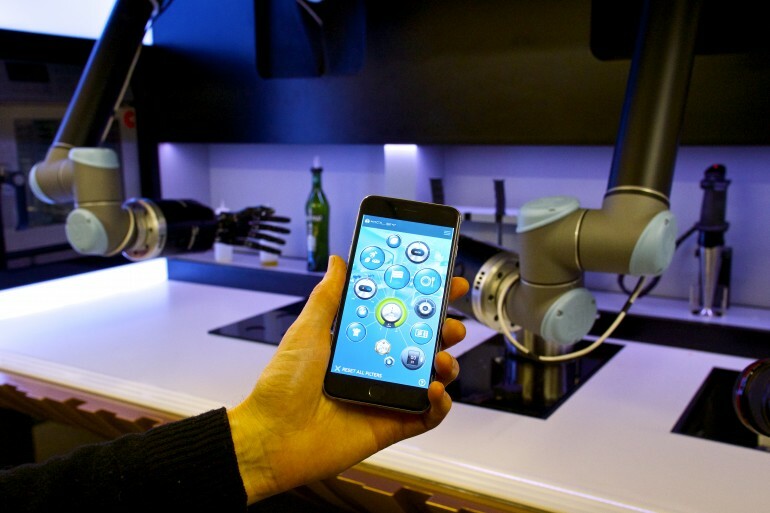 You even have the possibility to link up the robot chef to your smartphone. 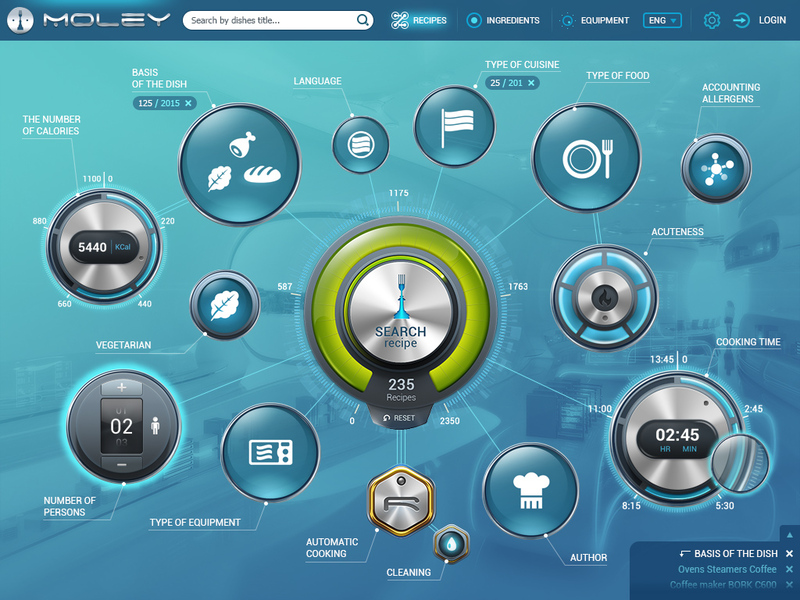 This new technology would especially come in handy for people with food allergies or disabilities, since you can program the robo-chef to cook you any variation of your favorite foods – all while you can relax or attend to other activities. Although the robot chef is yet to be priced, $15,000 is a rough estimate of what it might cost you. Check out the video below and decide if paying the price for the robot would be worth the benefits.